Abstract: This thesis explores the thematic relationship between the Old English poem Judith and the Old English epic Beowulf. I focus on seven narrative similarities between the two texts that are used to distinguish between the heroes, Judith and Beowulf, and their enemies, Holofernes, Grendel, and Grendel’s mother. In doing so, I claim that this Beowulf-Judith parallel exists because they define what the Christian Anglo-Saxon is versus what it is not despite the fact that both poems based on stories that are not Christian or Anglo-Saxon in origin. The seven similarities create a Christian Anglo-Saxon us versus them dichotomy as a way to identity the Christian Anglo-Saxon as a distinct identity and culture. 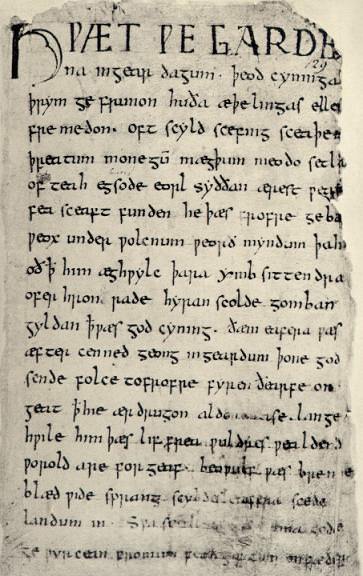 Introduction: The Nowell Codex, more commonly known as the Beowulf Manuscript, contains five Old English texts: a fragment of The Life of Saint Christopher, the Letter of Alexander to Aristotle, Wonders of the East, Beowulf, and Judith. Since its discovery, most of the scholarship surrounding the manuscript has focused the works’ language and linguistics. Only in recent years have scholars begun to speculate on any thematic relationships tying the texts together. One of the few medievalists to enter this area of study is Beowulf scholar Andy Orchard. In his recent book Pride and Prodigies: Studies in the Monsters of the Beowulf-Manuscript, Orchard explains that “investigation of the relationship to Beowulf to the other texts in the manuscript highlights…the interests of the anonymous compiler in assembling what at first glance might seem an eclectic collection of texts.” He claims that two themes are present throughout the manuscript: “interest in the outlandish and [interest] in the activities of overweening pagan warriors from a distant and heroic past.” Unfortunately, Orchard focuses his study on Beowulf and the Letter of Alexander to Aristotle, while dedicating only a few pages to the link between Beowulf and Judith.